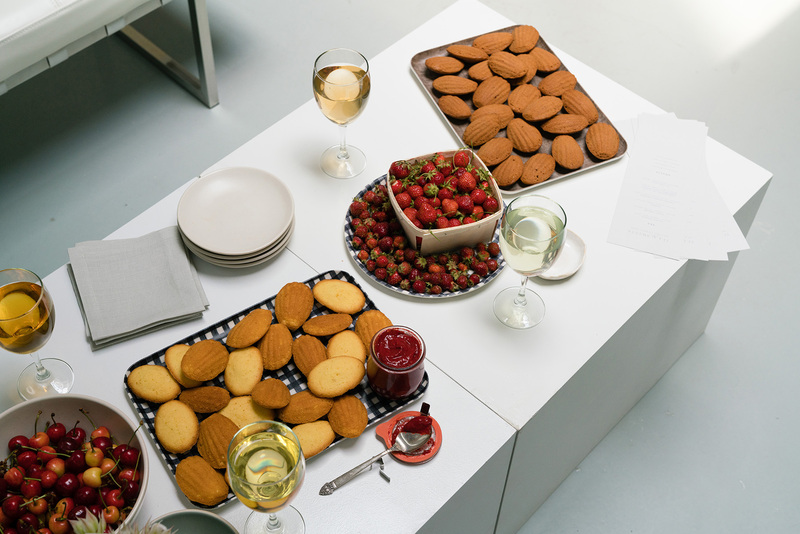 Our second Tea at Three was held at the Blank Space Art Gallery in the back of the Lie Sangbong store in the Meatpacking District. 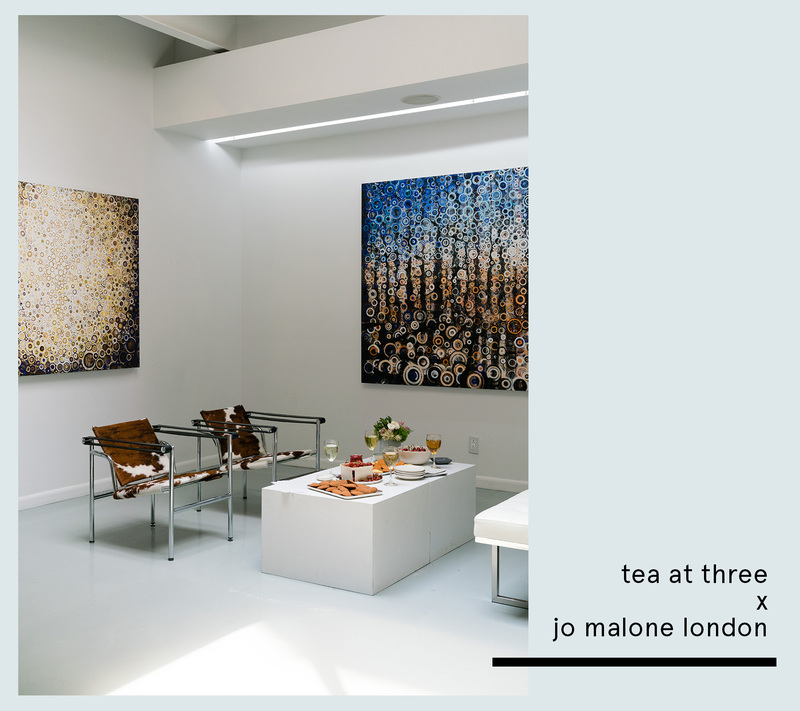 We partnered with Jo Malone London, as they recently launched new fragrances under the Rare Teas Collection. This collection celebrates rare teas from the Japanese foothills to China to the Himalayas, and consists of six fragrances which have distinct tea profiles. 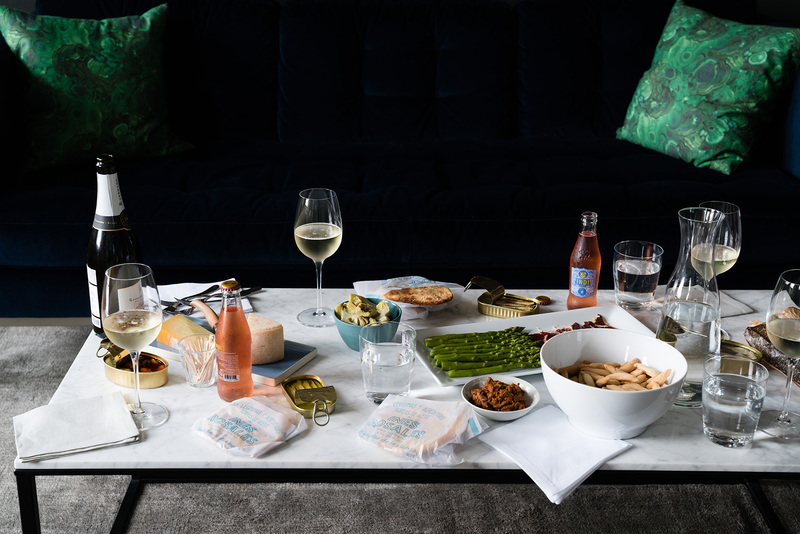 My personal favorite might be the Darjeeling, which is inspired by the idea of the first buds of spring arriving in the foothills of the Himalayas, and has jasmine, freesia, and apricot notes – perfect for the summer ahead. We had market berries and fruits, as well as madeleines (baked by Kristy of course) and cold-brewed tea from In Pursuit of Tea (prepared by Kathy, of course). The colors of the cold-brewed tea matched quite well with the colors of the fragrance collection. By the end, we were all giddy from the sweetness of the strawberries and cherries! I've been hoarding a few of these empty containers so I'd have enough for a post on my things recently finished. I'm trying a little something new here – if you hover over the image and click the little plus-sign icons that come up, they should link you to the product pages. From the top left and going clockwise, let's start with the Sachajuan Scalp Shampoo. This is my usual go-to shampoo since I definitely suffer from various scalp problems. I've gone through multiple bottles, but I'm currently trying something new by Klorane. This candle broke, or rather exploded, on its own one day while it was burning toward the end. I guess the glass got so hot that it couldn't handle it – yikes. It made for some pretty and dramatic shards though? I was so excited about Emma Straub's latest book that I might have emailed the publisher to try and get my hands on a copy before it came out. I'm biased since I like her other books so much, but this one may be my favorite yet. This tinted moisturizer needs no introduction. It's probably a favorite of many, and I can see why it continues to be so popular. It leaves a weightless feeling and the SPF is a much welcomed bonus. I love the smaller sized one for my travel dopp kit. The next one is kind of embarrassing to report on. Apparently it takes me so long to finish a foundation that this particular one by Bobbi Brown is discontinued. I'm not much of a foundation gal, because I'm lazy with my makeup routine and foundation just seems like so much effort. But for the days and events where I knew I might be photographed, this was my favorite for so long. Ever since Kristy sang the praises of Drunk Elephant products, I've been hooked. I use almost the entire line in my day-to-day routine. The serums may be my favorite of the line though. 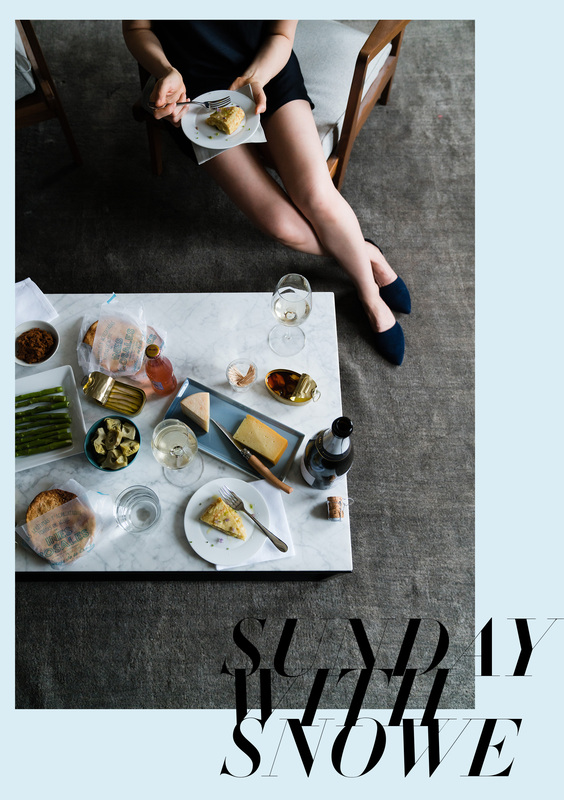 If I'm having a rough skin day, I actually look forward to washing my face at night with their cleansing bar and then slathering on the night serum – I swear it helps smooth out minor breakouts by the morning. Speaking of brands I use every day, I also love the whole First Aid Beauty line. I know I can trust their ingredients to not irritate my skin. These facial pads were great after cleansing at night, because they made my skin feel extra clean. And as gross as it may sound, I liked them especially for clearing those pesky dry skin bits around my nose. Ok that was a mouthful, maybe I won't hoard so many for the next set! 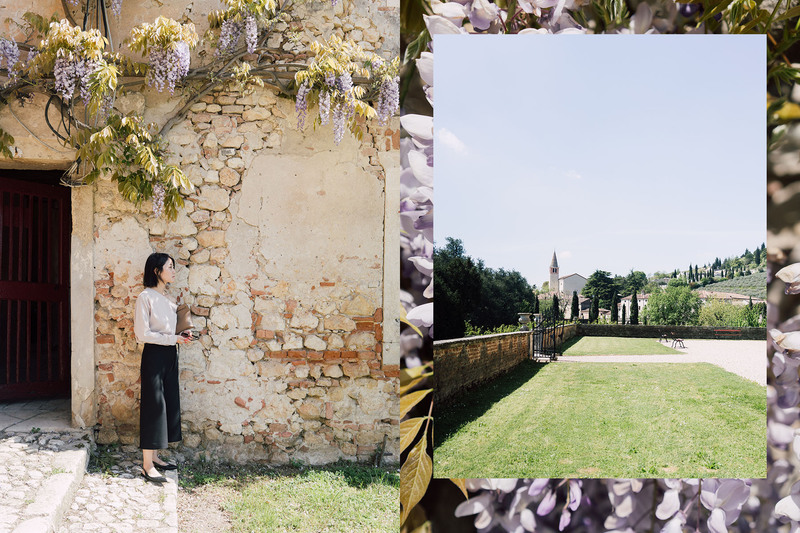 In April I had the chance to visit the Veneto region of Italy (a region I kept mispronouncing until certain friends set me straight). 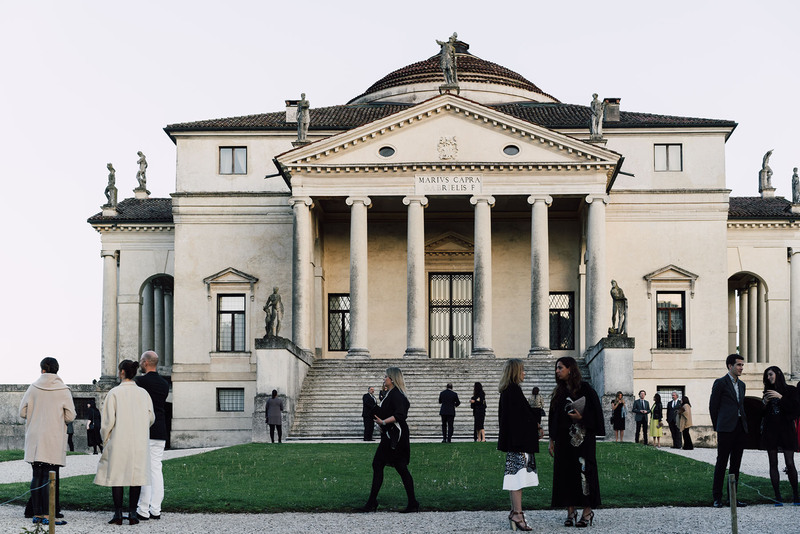 It’s where Bottega Veneta was founded fifty years ago and is home to the great visionary, Andrea Palladio, who inspired much of the architecture and gardens in the region today. 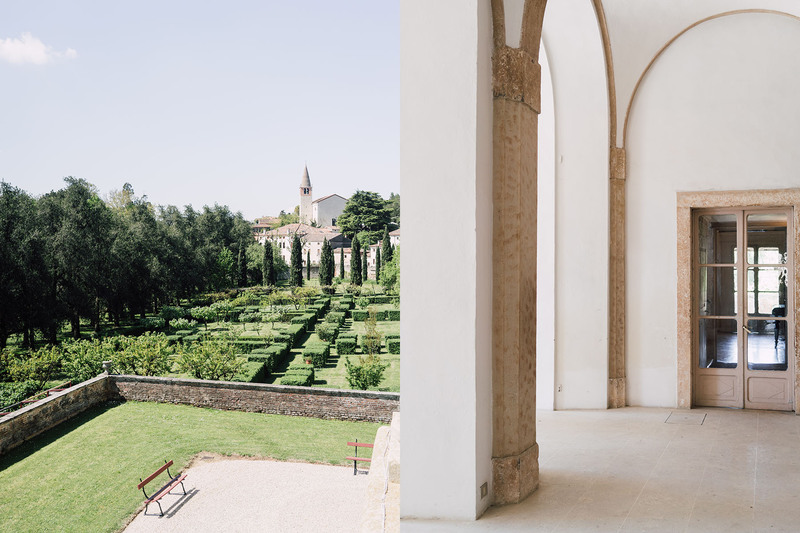 These are the gardens and villas that inspired Parco Palladiano, the newest fragrance collection from Bottega Veneta. 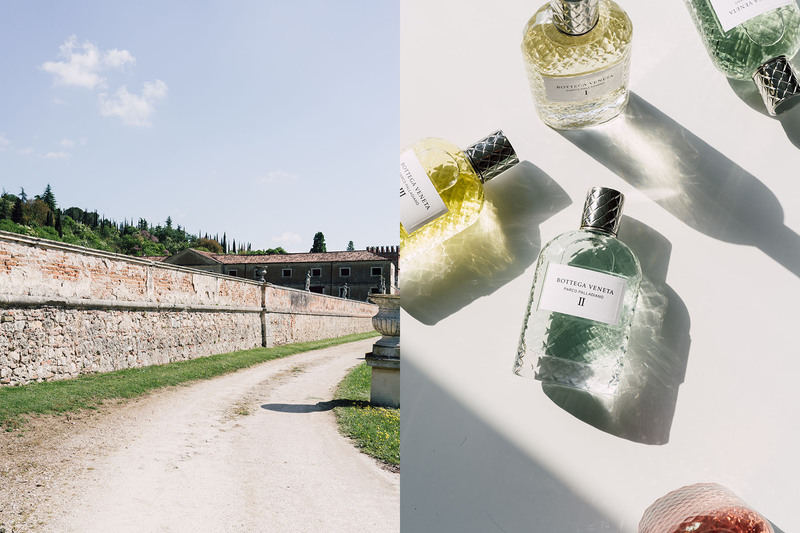 Creative director, Tomas Maier’s goal was to bottle up the quintessential Italian experience and capture the beauty and heritage of the land in these fragrances. Each of the six fragrances tells a story and there is meaning behind each. 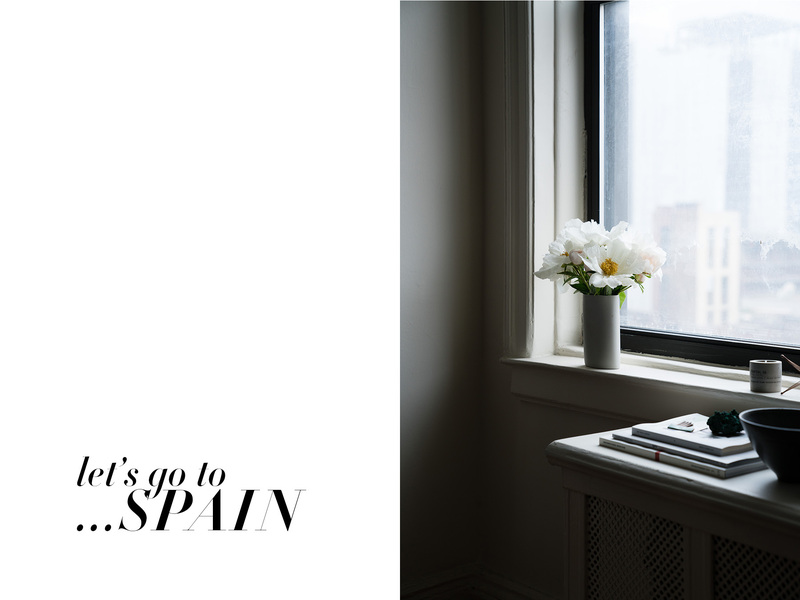 I got to hear firsthand from the perfumers about these stories and inspirations. But let’s backtrack a tiny bit – my only real experience with Italy thus far had been two trips to Milan (which some will say is not the “real” Italy). 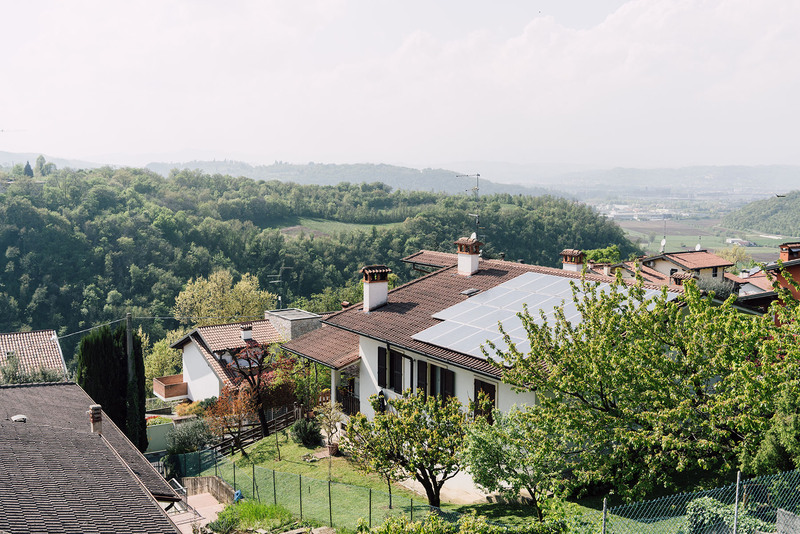 I always imagined the countryside of Italy to be filled with rolling hills and golden light. That isn’t so far from the truth, and bonus: there are bucket loads of beautiful wisteria too. 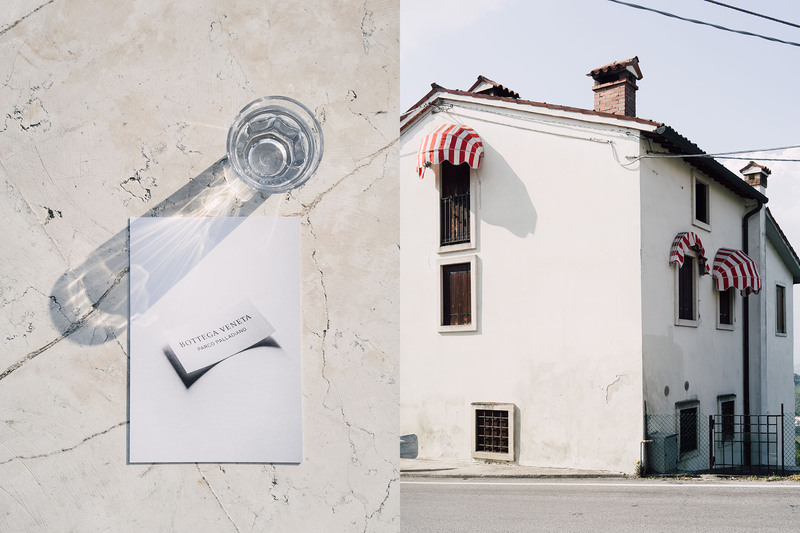 I spent a grand total of barely 36 waking hours in Veneto, but the feeling of the region was palpable. 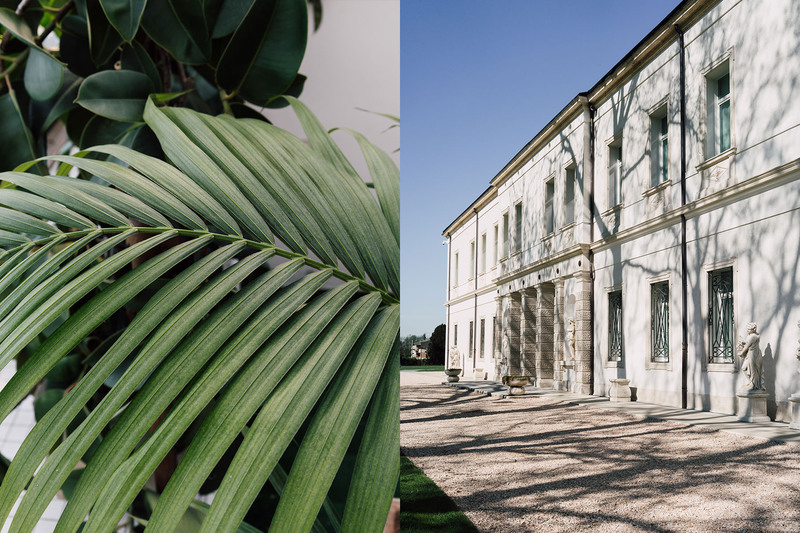 That one whirlwind day began with a visit to the Bottega Veneta atelier where we witnessed first-hand the “intrecciato” (the signature weave of the house) being woven by hand. Photos weren’t allowed but it was truly amazing to see the craftsmanship and time that goes into these bags. On a side note, my very first luxury handbag ever was actually a Bottega Veneta Campana, and though I’ve cycled through and sold many of my other bags, I can’t let go of this one for both its sentimental value and classic design. 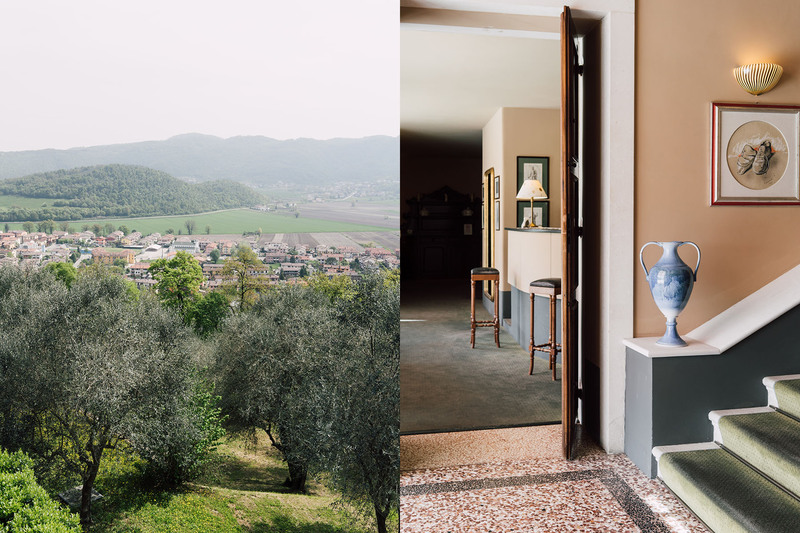 From there, we headed to Villa Fracanzan Piovene, a villa inspired by Palladian architecture, where we enjoyed a lunch and tour of the property. The afternoon went by in a flash, with visits to the Basilica Palladiana and the Teatro Olimpico (the first roofed seated theater in the world) in Vicenza. Then, the exciting and highly anticipated part of the day began. 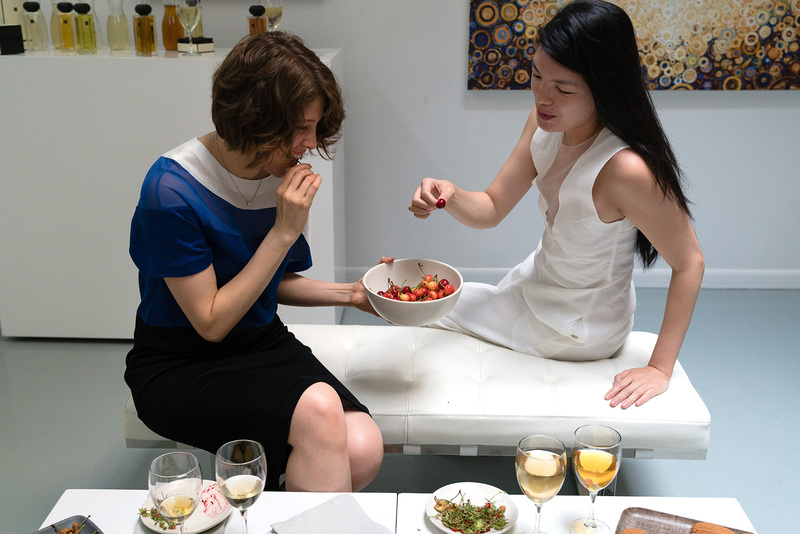 We sat down with the perfumers and smelled each of the new perfumes, which are named by Roman numerals to reflect the classical heritage of the Palladian villas. They represent different moments throughout the day, from morning to evening, taking us on an imaginary journey through a Palladian garden. So we begin with the scent of magnolia in the morning. 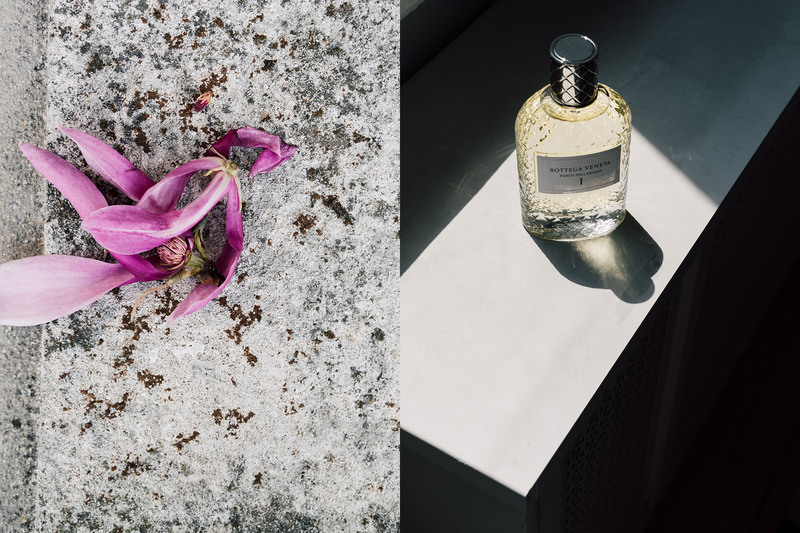 This fragrance (I) by Michel Almairac captures the experience of sitting under the magnolia tree before the sun has had a chance to alter its scent. Then morning fades, and the light is very bright (II). 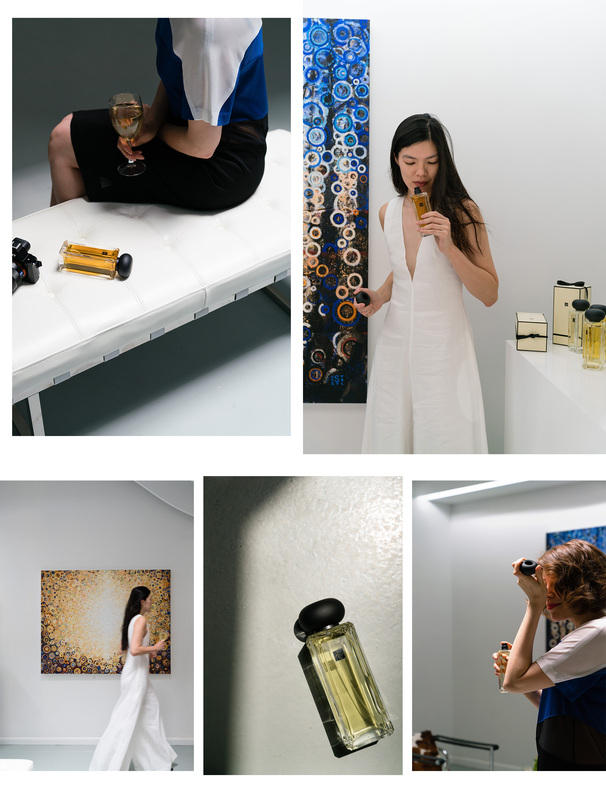 This fragrance by Alexis Dadier is about the cypress tree. 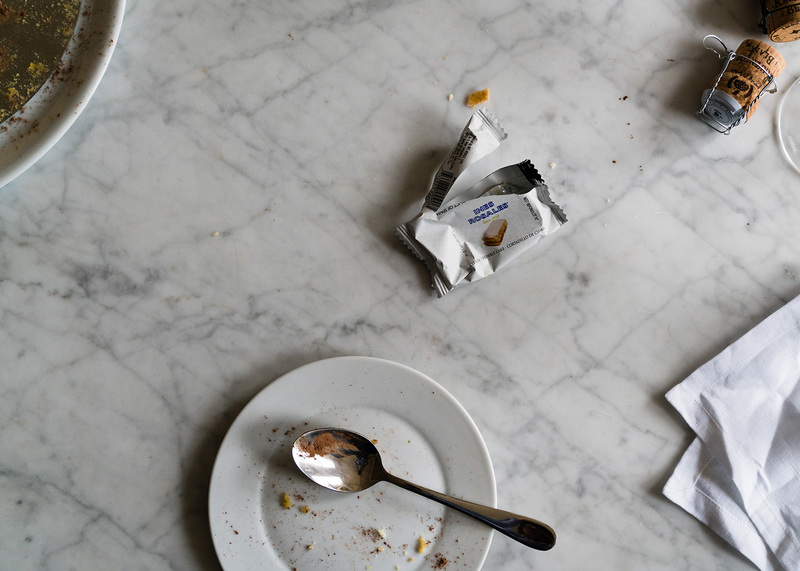 Notes of salt and pepper express freshness and the two-fold personality of the tree. We are meant to feel the elegance of this tree. 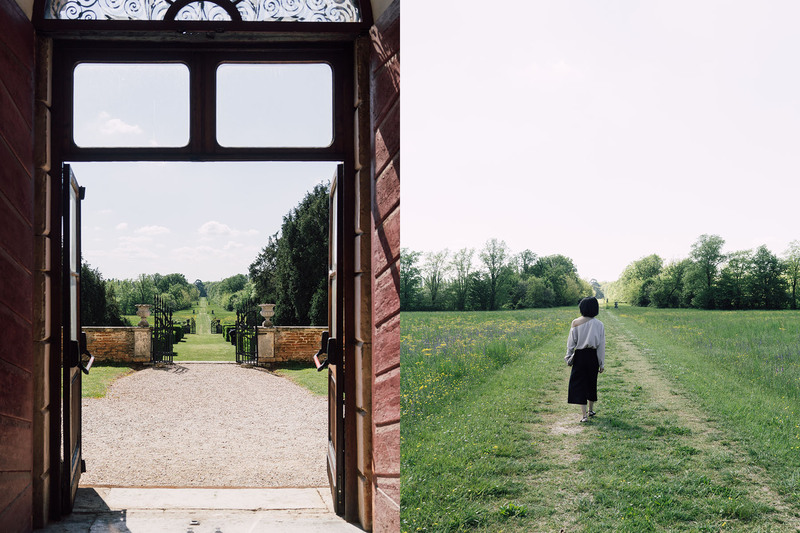 For Daniela Andrier, another Parco Palladiano perfumer, a visit to the Palladian villas 25 years ago profoundly evoked things for her. 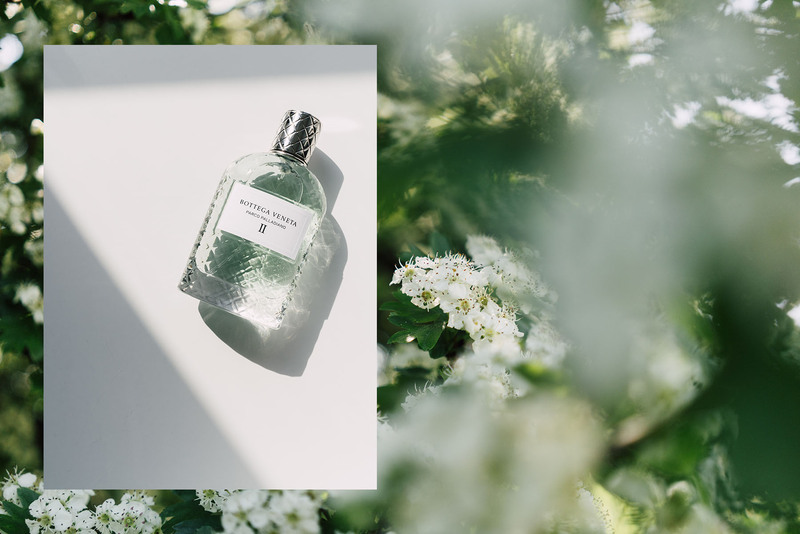 On her process, she says, “It’s a matter of memories… universal memories that we can all relate to.” This fragrance (III) turns a bit melancholy, with the overripe pear that signals a change in seasons, from summer to autumn. 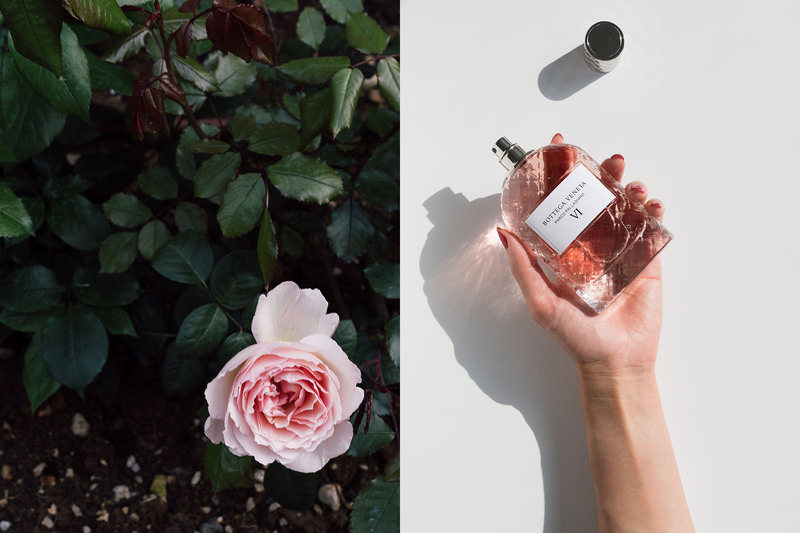 For Dadier’s second fragrance in the collection (IV), the azalea is at the forefront. It is the end of the afternoon and there is a cloud of smell from the flowers that have been warmed by the sun all day. It is a comfortable feeling. There is creaminess and woody chestnut to balance. We move on to Andrier’s second creation, an herb/spice garden that has been in the shadows (V) in a cool place away from the sun, a “majestic place” she calls it. 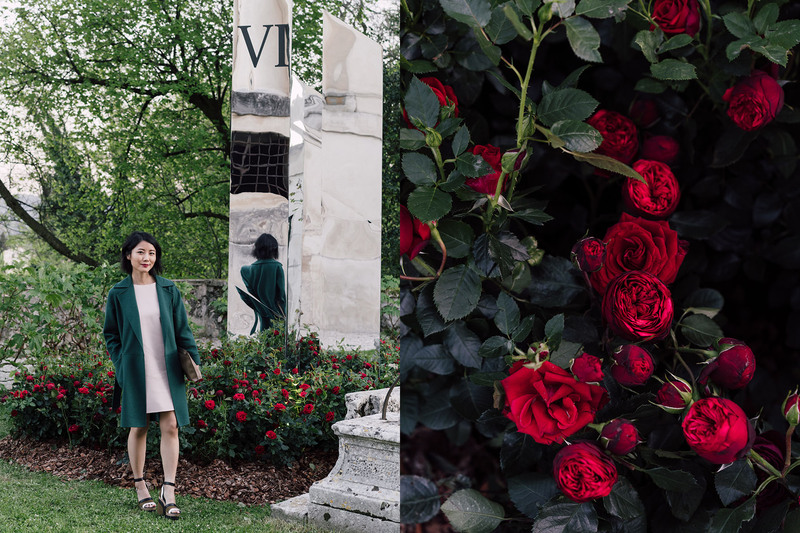 We end the journey with a rose that has been outside in the garden all day (VI). 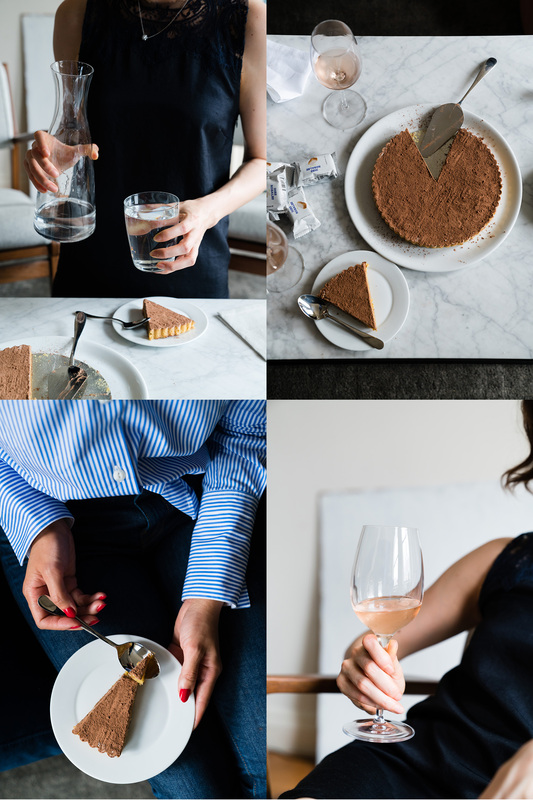 Mylene Arlan and Michel Almairac’s rose is not your typical rose. It’s more delicate and soft from soaking in the sun’s golden light, yet spicy from cinnamon, sandalwood, and cedar. 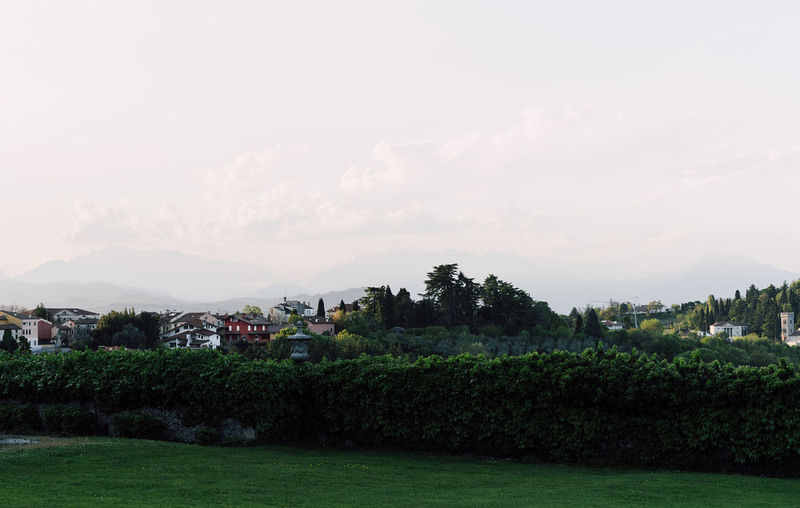 Later that evening, we visited Villa Rotonda for the culmination of our olfactory journey. 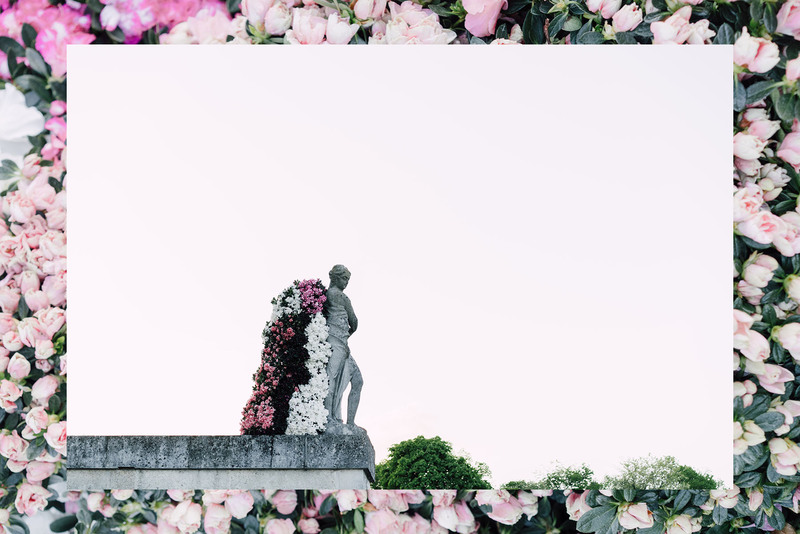 Here we got to walk through the proverbial Palladian garden and experience artful installations interpreting each of the fragrances. If I absolutely had to choose a favorite, it'd likely be a toss-up between II and VI. They really all are beautiful. 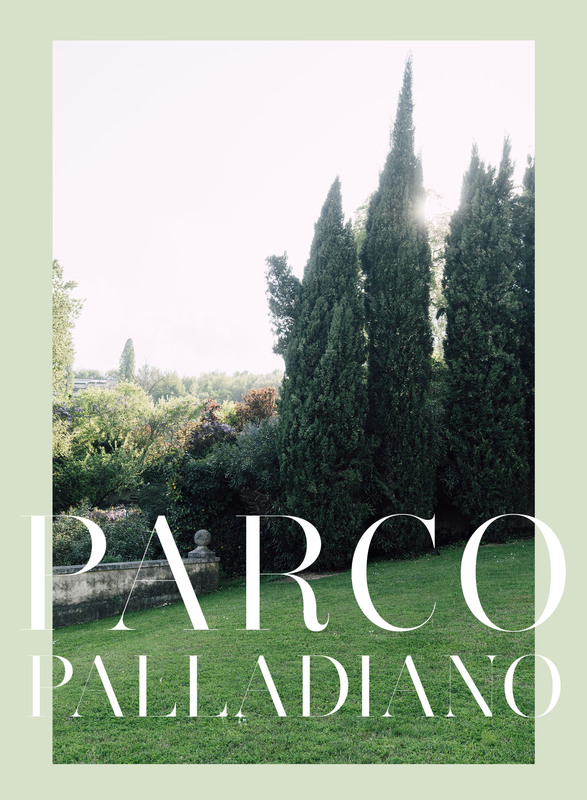 Parco Palladiano is available at Bergdorf Goodman and Bottega Veneta at $295 a bottle.